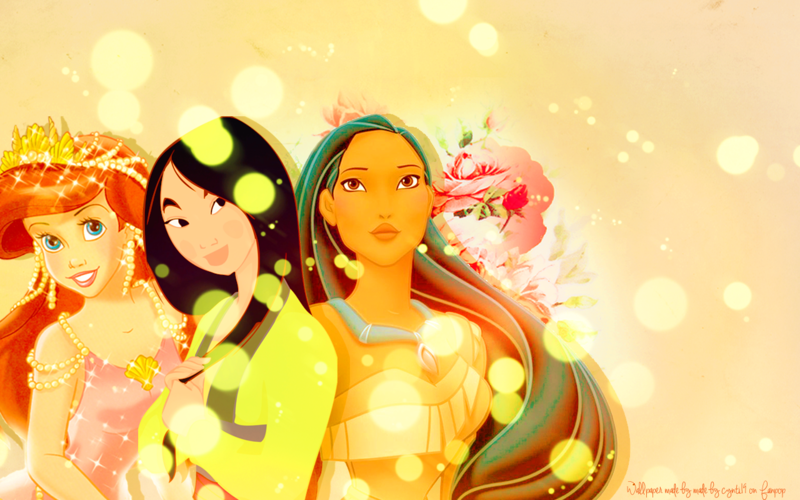 Princess Ariel, Mulan and Pocahontas پیپر وال. Please, do not re-upload this one in somewhere else, I'm seriously. However, I made this one for ARIEL-RAPUNZEL as a birthday gift. ;). 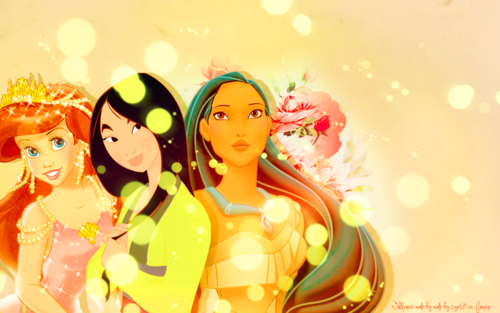 HD Wallpaper and background images in the Disney Princess club tagged: disney disney princess the little mermaid mulan pocahontas princess ariel wallpaper. This Disney Princess wallpaper might contain گلدستے, سے corsage, میں posy, nosegay, بکی, کورساج, گلدستہ, and نوسیگی.